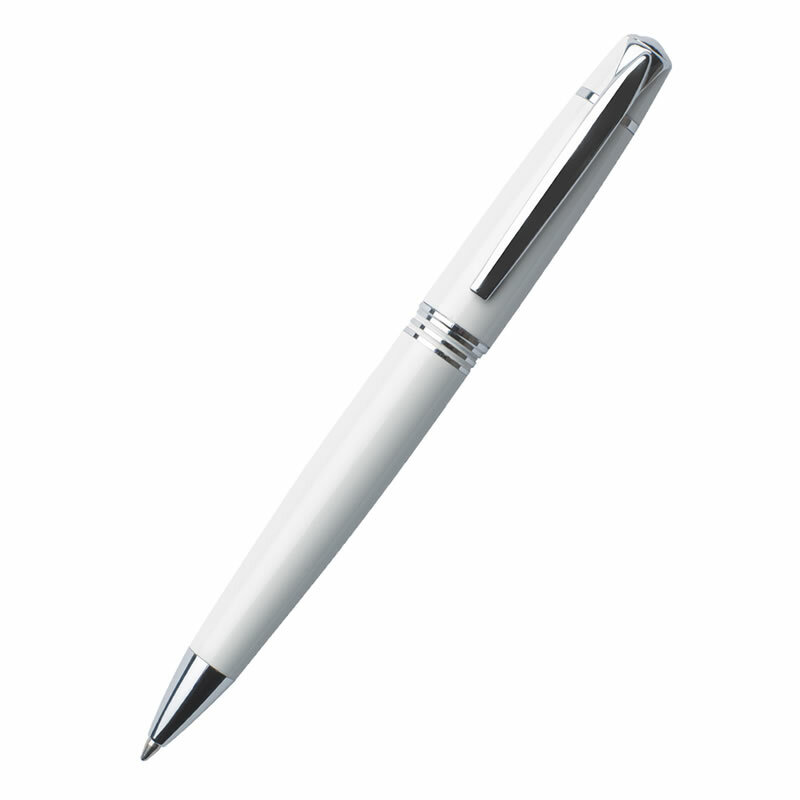 These stylish ballpoint pens have a clear white colour finish with silver colour fittings. They are supplied with a black ink cartridge and can be branded via laser engraving on the pen body. Ideal as promotional pens or corporate pens, they are offered here with free text and logo engraving.